Hello!!! Day 15 and we have an absolutely brilliant prize courtesy of Appliances Online. Now before you domesticated types get all excited, I'm not talking a dishwasher, although I could really do with one at the moment! It is in fact a £40 voucher for ASOS. ASOS Curve is undeniably one of the front runners when it comes to on trend plus size fashion, there's not many who do it as well as they do. So I'm super excited for today's giveaway!! I thought I'd do something a little different today. Still using rafflecopter so I can keep track of everyone, but I'd like to see what you'd buy with your voucher, so for those of you with Pinterest, I'd like to see your ASOS Wishlist boards please!! For those of you without Pinterest have no fear there are other ways to enter! 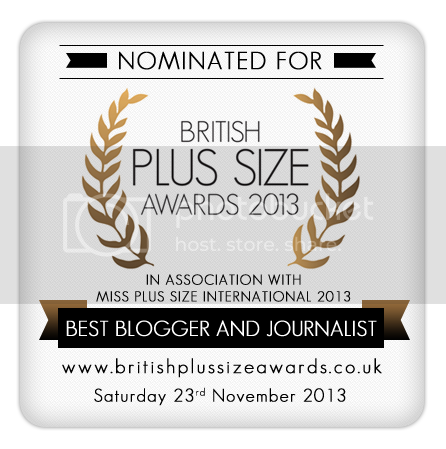 A HUGE Thank you to those who nominated me for Best Blogger and Journalist category at the Plus Size Awards, I'd be overjoyed to win it so please get voting! !